The 17-year-old student credited with popularising the #Milifandom hashtag during the 2015 general election has become embroiled in a Twitter spat with former Conservative MP Louise Mensch. The issue arose when Abby Tomlinson tweeted that she would be making a formal complaint against The Sun for harassment. A formal complaint against the sun is being made for the way my family was treated regarding #milifandom. On seeing the tweet Mensch initially accused the 17-year old of "hypocrisy" for not reporting the Sunday Mirror. In a spate of subsequent tweets, the former Conservative MP also suggested the student had not credited the original founder of the #Milifandom hashtag. However, Mensch then found herself being accused of bullying and harassment. @MsJackMonroe No. I'm still criticizing a faddish and infantile 17 year old young woman for her bias and for taking others' credit. John Prescott, former deputy leader of the Labour Party, waded into the argument in support of the teenager. At the time of writing Tomlinson and Mensch had blocked each other on Twitter. The Independent Press Standards Organisation (IPSO) confirmed to PRWeek that no complaints about press treatment of Tomlinson’s family have been received at the time of writing. 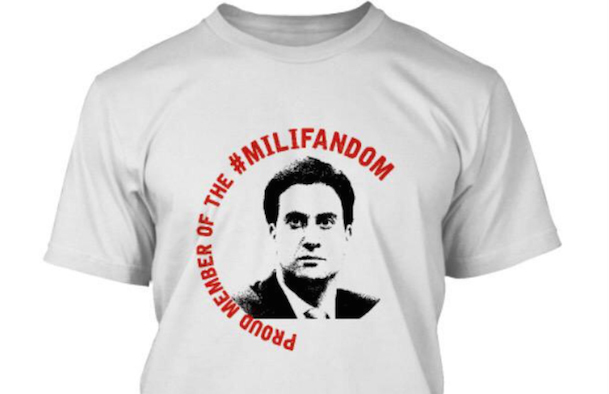 Can #Milifandom give Labour the edge?